Here’s a new skincare brand I’ve being learning about thanks to Marina Milojević from beautyalmanac. 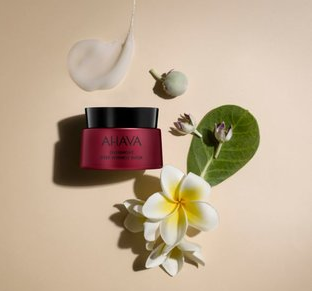 AHAVA or AHAVA Dead Sea Laboratories, are an Israeli skincare company, renowned for their prestige range of skincare products produced with mud and mineral-infused ingredients obtained from the Dead Sea. AHAVA have an instance range of products suited for both women and men from facial and body care to hair care for professional and home use. 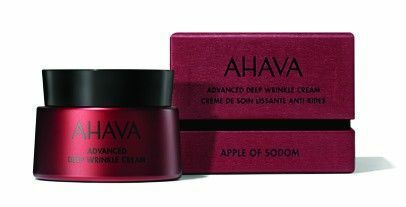 Recently AHAVA has announced the launch of the Apple of Sodom Collection, one of the most important launches for the brand in years. The Apple of Sodom Collection introduced as a revolutionary new product line that treat wrinkles and firm the skin. 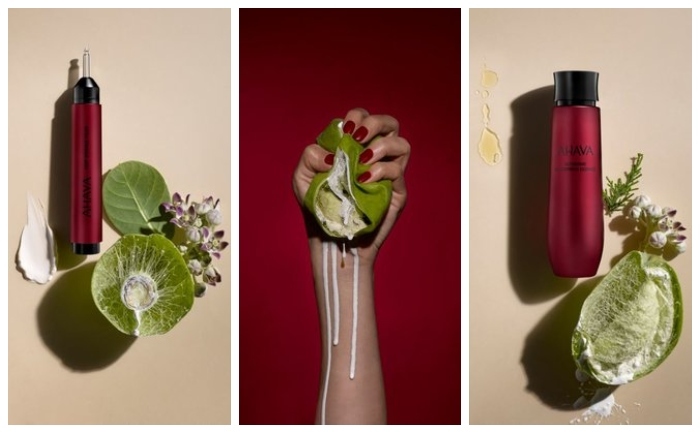 AHAVA Laboratories extensively researched for four years, a powerful new ingredient, based on the fruit of the Apple of Sodom tree (Calotropis procera) and a Botox-like toxin extract, in which the collection is formulated with. A toxic milky nectar from the flesh of the Apple of Sodom, an authentic plant naturally found in the Dead Sea region, presents some healing properties, exhibiting a protective activity against skin irritation and inflammation. 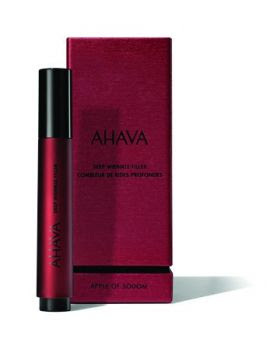 AHAVA is the first cosmetic company to use this powerful ingredient and when combined with Dead Sea Water, the Apple of Sodom extract demonstrates a potential contribution for skin wellbeing by enhancing energy production, protecting against inflammation, and supporting extracellular matrix balance. 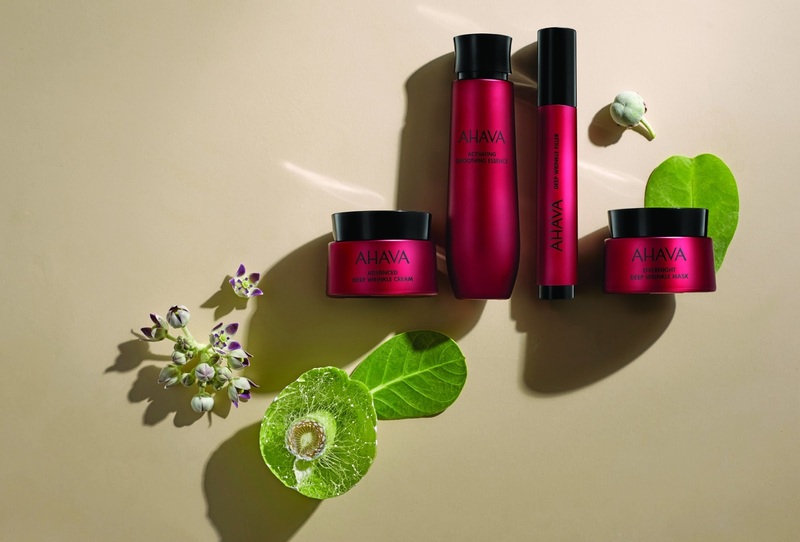 AHAVA’s new Apple of Sodom Collection adopts a modern anti-aging strategy that aims to fight against the natural biological causes of aging, at the molecular level and beyond the appearance of symptoms. Aimed at reducing the damage of natural processes such as inflammation, a key mediator of the different pathways leading to skin aging. When combined with AHAVA’s patented Osmoter, the Apple of Sodom Complex activates the stem cells derived from the Apple of Sodom to help skin fight against external stressors that create chronic inflammation, which may accelerate skin aging. The result is a visibly younger skin with less wrinkles and more tightened facial contours. An advanced, all-day moisturizer that minimizes the appearance of visible lines and wrinkles. Enriched with Apple of Sodom Complex and active ingredients that diminish deep wrinkles and visibly shape facial contours, leaving skin well hydrated, smooth and fresh. An essential hydrating, smoothing essence that intensifies skin’s softness and hydration, making it more receptive to the rest of your skincare products. The lightweight, water-lotion essence contains the exclusive Apple of Sodom Complex and active, powerful ingredients. A gel-textured mask for overnight use; firms’ facial contours, minimizes deep wrinkles and hydrates the skin. Promotes skin`s natural repair process that happens while you are asleep. 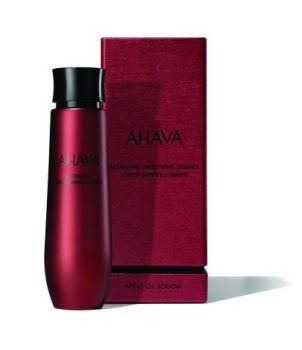 Contains active moisturizing ingredients and AHAVA`s Apple of Sodom Complex. A targeted antiaging treatment that immediately refines and soothes the skin’s complexion, immediately minimizes laughter lines, frown lines, crow's feet and wrinkles.